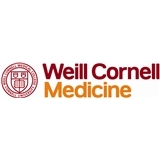 Weill Cornell Physicians at Brooklyn Heights (New York) - Book Appointment Online! Internal medicine Highly qualified and caring physicians. Our goal is to provide excellent service and customer satisfaction. Kindly fill out your check-in forms while booking your appointment. Great bedside manner. I'm a relatively young man, so seeing a urologist was a bit intimidating, but Dr. Winkler and his nursing staff were great. Gave lots of information about what he was doing and thinking, and answered all my questions.